try a story about a new beginning! Hope was Here. New York : Putnam, 2000. Bondoux, Anne-Laure. The Killer’s Tears. New York : Delacorte Press, 2003. Bredsdorff, Bodil. Crow-girl. New York : Farrar Straus Giroux, 2004. Cassidy, Anne. Looking for JJ. New York : Harcourt Inc., 2007. Clements, Things Not Seen. New York : Philomel Books, 2002. Friesen, Gayle. Janey’s Girl. Toronto : Kids Can Press, 1998. Heneghan, James. Bank Job. Victoria, BC : Orca Book Publishers, 2009. Hill, Kirkpatrick. Winter Camp. New York : Puffin Books, 1995. Hobbs, Will. The Maze. New York : Morrow Junior Books, 1998. Kerz, Anna. The Mealworm Diaries. Victoria, BC : Orca Book Publishers, 2009. Lawson, Robert. 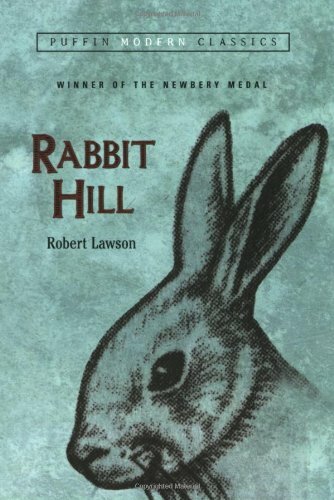 Rabbit Hill. New York : Puffin, 1944, 1972. McClintock, Norah. Back. Victoria, B.C. : Orca Soundings, 2009. Mikaelsen, Ben. Touching Spirit Bear. HarperCollins, 2001. Nolan, Han. A Face in Every Window. New York : Harcourt, Inc., 1999. Paterson Katherine. The Day of the Pelican. Boston : Sandpiper, 2009. Perkins, Lynne Rae. Criss Cross. New York : Harper Collins Publishers, 2005. Riess, Kathryn. Blackthorn Winter. Orlando : Harcourt, 2006. Ritter, Choosing Up Sides. New York : Puffin Books, 2000. Shea, Pegi Deitz. Tangled Threads. New York, NY : Clarion Books, 2003. Singer, Nicky. Gem X. New York : Holiday House 2006. Smith, Roland. 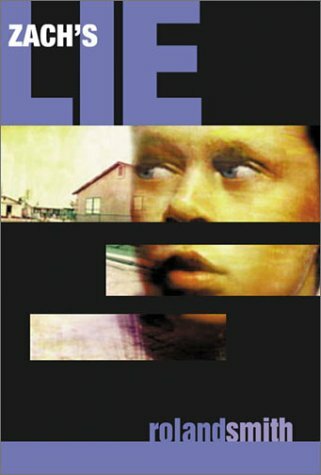 Zach’s Lie. Toronto : Scholastic, 2001. Taylor, Theodore. The Maldonado Miracle. Orlando, Fla. : Harcourt, 2003. Tullson, Diane. Riley Park. Victoria, BC : Orca Book Publishers 2009. Venkatraman, Padma. Climbing the Stairs. G.P. Putnam’s Sons, 2008. Whelan, Gloria. Chu Ju’s House. New York : HarperCollins, 2004. Whelan, Gloria. Homeless Bird. New York : Harper, 2000. Wilson, John. Where Soldiers Lie. Key Porter Books, 2006. Woodson, Jacqueline. Hush. New York : Putnam’s, 2002. Instead of writing a report, why not make a model? Grade eight science students in Mr. Apostolopoulos’s class made models of cells using styrofoam and wood, using cookies, cake and even pizza! Keyser, Amber. The Basics of Cell Life with Max Axiom. Mankato, MN: Capstone Press, 2010. A graphic novel about the basics of plant and animal cells. “I would be most content if my children grew up to be the kind of people who think decorating consists mostly of building enough bookshelves.” Anna Quindlen, “Enough Bookshelves,” New York Times, 7 August 1991.